Bedformers and Plastic Mulch Layers - Page 1 | COSMECO S.r.l. 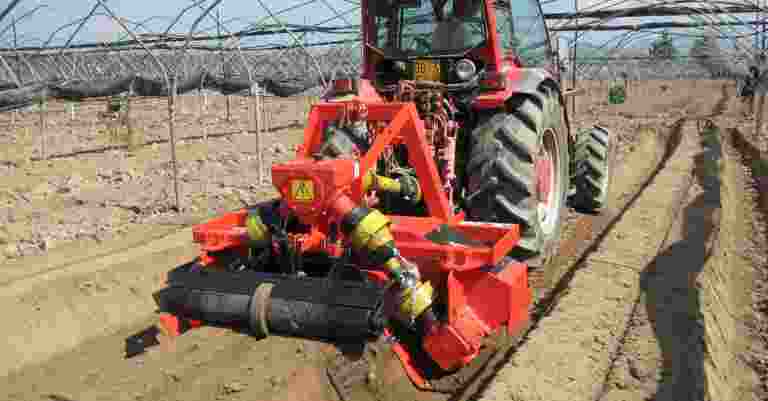 Cosmeco adjustable bedformers are designed for the creation of compact seedbeds with any kind of soil. This cultivation technique stimulates the plants development, reconstructs the earth porosity and boosts the flow of air and water. 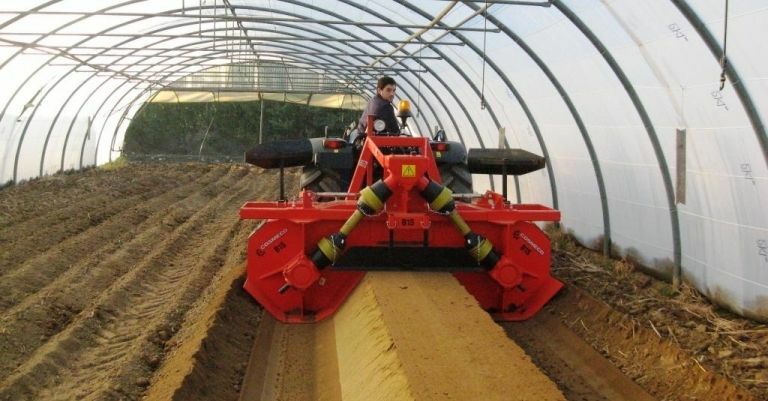 Cosmeco adjustable bedformers ensure the germination and growth of any type of crop, such as asparagus, strawberries, soft fruits (berries), potatoes, yam and manioc, all thanks to the perfect compactness of the beds, which are especially thick on the inside. Cosmeco also builds mulch layers intended to help maintaining the crop clean and healthy, protecting it from unwanted weeds and water dispersion. 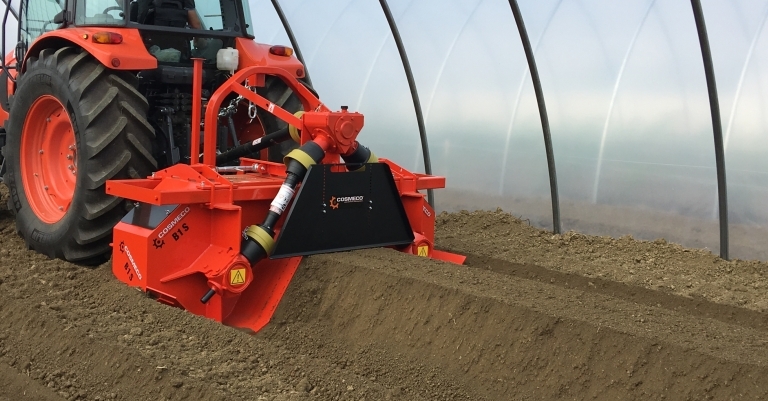 Our different types adjustable bedformers and plastic mulch layers grant a top-notch performance anywhere, from the small greenhouse to the open field. Find out more about the models of all the different bedformers and plastic mulch layers.